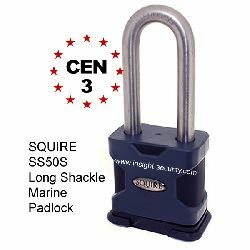 Thermo-plastic sheathed brass, aluminium or laminated steel body, rustproof internals and stainless steel, sheathed steel or brass shackle, are just some of the materials and components typically used in the manufacture of Weatherproof and Marine padlocks. 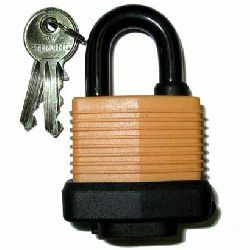 The choice of materials used in the manufacture of any specific padlock model will determine the level of protection against the elements that the padlock will offer, as well as having a direct impact on the price of the unit. 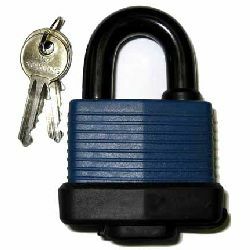 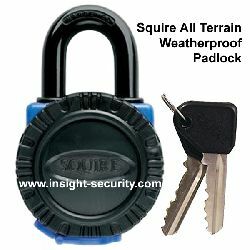 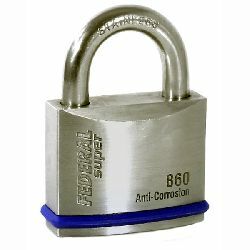 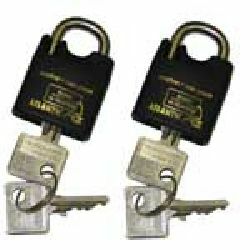 Please see the product information page specific to each padlock for full details of that product. 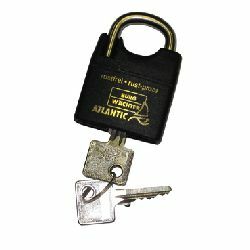 Note: all of our Insurance & CEN rated padlocks and our High Security Padlocks are also weatherproof by design, being intended primarily for outdoor security applications.